Board members volunteer their time to serve for a minimum three-year commitment. Members come from a variety of backgrounds and are always eager to speak with you about the Clubs. Feel free to stop one of us on the street when you see us and ask how YOU can CONNECT with the Boys and Girls Clubs of Chaffee County. Since moving to Salida, Gwen has been a stalwart supporter of the Club. When she and her husband, Brett Eakins, purchased Central Colorado Title, they continued that business's longtime investment in the Club. Gwen's daughter attends the Club so she knows how important the programs are to our youngsters. As an attorney and one who helps new families coming into our valley, she will bring amazing skills to our board as our newest memer. Salidan Gloria Broudy has been a board member since 2013. She enjoys playing tennis and pickleball, travelling and taking photographs. She serves on two committees with the Clubs; the Marketing/Public Relations Committee and she chairs the Board Governance and Development Committee. Gloria says she joined the board to become part of an organization that helps make a significant difference in the lives of children. Her career included teaching, educational testing and educational program management. Duncan previously worked for the Hewlett Packard Company for 34 years in California and Colorado. Duncan believes the Chaffee County Clubs provide key benefits to the community to enhance academic success, citizenship and healthy lifestyles for boys and girls. Duncan believes that the Chaffee County Boys and Girls Club is the "Gold Standard" in youth development serving 800+ kids per year and delivers a high quality Club experience for every kid. Duncan has a love of the outdoors and is a ski instructor at Monarch Mountain. He is the current president and on the Governance, Marketing and the Resource Development committees. During his first few months on the board, Oren hopped right in and assisted with the planning of the 2016 Casino Night. A Salida resident and longtime supporter of the Clubs, Oren has volunteered his time at the Salida Club since 2012. Oren served as Board President 2017 - 2018 and also serves on the Board Finance and Public Relations and Marketing committees and has a strong desire to contribute to the great work being done by the Boys and Girls Clubs of Chaffee County. Oren believes the Clubs give children wonderful opportunities to grow, learn and have fun in a nurturing environment. Before his retirement, Oren owned and managed a hardwood lumber company in San Antonio for 20 years and served as volunteer and executive director of a local children's shelter. Now when he has spare time, he enjoys playing the harmonica and participating in music jams in Salida. A Salida resident since 2015, Beth is one of the newest members to the board, serving since Fall of 2016. She jumped in headfirst, serving on three committees: Public Relations and Marketing, Safety, and Board Governance and Development. Beth currently serves as the Chair of the PR and Marketing Committee. As mom, Beth quickly discovered the value of the Clubs and the wonderful opportunities they provide for her children and many others. She’s seen her own children thriving in a safe and encouraging environment with talented and compassionate volunteers and staff. Because of this, Beth knew she needed to do what she could to help sustain this great community asset. When she’s not working as NEPA Planner with the Pike & San Isabel National Forest, she’s a devoted CrossFit-er, hiker, camper and loves to play sports with her kids. 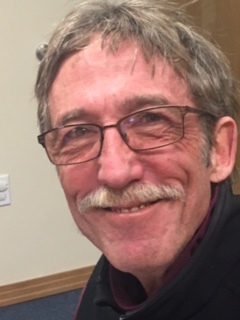 Salida resident Greg is a retired teacher who has served on the board since 2013. He believes that the Clubs provide great opportunities for local children, and he has taught a variety of courses there, including building inflatable dinosaurs, rocketry, rocks and minerals, circuit boards, acids and bases and working with Club teens building a planetary remote-control rover. Greg's wife, Jan, also volunteers at the Club. In their free time, Greg and Jan enjoy hiking, skiing, snowshoeing and traveling. Dustin came on board in late 2018. His children have attended the BV Club so he knows how vital this organization is. Dustin is a Senior Loan officer with TBK bank. Transportation Advisory Board and was an active participant in the Envision Chaffee process. Susan also has a background in financial planning and would like to bring her organizational and fundraising skills to the Chaffee County Boys and Girls Club to ensure that every child has access to high quality after-school programming. One of Susan’s areas of focus is helping train and empower girls and women for leadership opportunities. Danny's business, Stotler & Young, has been a longtime investor in the Club. As a parent, Danny knows the value of this organization to its members and their families. He hopes to help the board with his financial acumen and is Chair of the Finance Committee. Leta joined the board in 2016 after first volunteering in the after-school program, the summer lunch program and assisting the special events Casino Night committee. A Salida resident, Leta said she was motivated to get more involved when she witnessed firsthand the positive impact the BGCCC has on Chaffee County’s kids and desired to influence the lives of young people. A retired oncology and clinical research nurse, she's a member of the Greater Arkansas River Nature Association’s hiking club, has a GARNA community garden plot, where she grows giant zucchini, and is a budding cyclist. An avid sportsman, outdoorsman and fierce defendant of public lands, Carlin joined the board in 2016, where he serves on the Resource and Development Committee. Carlin, a Buena Vista resident, believes in investing time and money in young people to provide them with tools to grow and influence the world and to ultimately develop in them the courage to gain real world experience. In turn, he hopes Chaffee County’s youth will return to work in the county and serve the community as adults. He believes that in order for the community to grow its economy beyond tourism and retirees, young people need to be supported. Carlin grew up in Chaffee County and has returned as Founder and CEO of Elevation Beer Company, choosing a role with the Boys and Girls Clubs because he’s seen a need for increased community involvement. Carlin loathes mushrooms, loves beets and frequently questions whether it is too late for coffee. One of our newest and youngest members, Mitch has Mitch Wright Insurance Agency in Salida and tons of enthusiasm for our organization. husband enjoy fixing up old houses. Marilyn served on the board from 2011-2013 and lives in Buena Vista. During her career, she worked as an educator for more than 30 years. Marilyn still does literacy consulting for schools in the southwest. She believes that her work on the board was a natural extension of her professional efforts to support children and families. Marilyn has seen the work of the Clubs contribute daily to the positive development of Chaffee County's children and teens and strengthen the community overall. She continues to help with events and document design. Irv served 7 years on the board and was instrumental in bringing 21st century technology and statistics to our organization. He lives in Salida with his board member wife, Gloria. He knows from personal experience how important organizations like Boys & Girls Clubs are for kids. Irv enjoys working with children and has been a volunteered and spearheaded the Kahn Academy. His career included educational testing, research, college admissions and teaching. He directed SAT, PSAT and AP programs and taught and consulted in China, Lebanon, and the U.S. Irv enjoy biking, hiking, and brought pickleball to our county! Amy Dennis and her husband moved to Chaffee County in 2015. Joining the Boys and Girls Clubs Board was a great way to get to know my new community and make a meaningful contribution. From serving in Americorps after college to my career in higher education, I've always worked with youth in some capacity. Currently I am the Site Coordinator for Colorado Mountain College in Chaffee County. A Buena Vista teacher for 24 years and river outfitter for 25 years, Karen, now retired, initially volunteered on the steering committee to bring the Clubs to Chaffee County. She sat on the board for nine years, the majority of that time serving as Board President, stepping down in 2015. She still serves on the Resource Development Committee and says her experience as a teacher showed her the importance of other adults in a child’s life. She believes kids and families need a safe, productive and fun place to be after school and has seen children at the Clubs learn character development and good citizenship and experience contributing to their communities in ways that they were not able to do at school. Karen has always loved sports and continues to participate in activities such as pickleball, tennis, rafting, fly fishing, skiing and backpacking. Banker and founding board member, Scott served for six years, as Vice President, President, and a committee member to Resource Development, Finance, Human Resources, Facilities and Marketing before becoming an emeritus member. He currently sits on the Resource Development Committee. He was initially recruited to the board by a steering committee attempting to organize local Boys and Girls Clubs as a replacement for an outgoing after-school program in existence at the time in Salida. He agreed to join the efforts because he believes the Clubs have proven themselves nationally, had good potential for success and the need within the community for such a program was evident. Scott was certain the impact of forming the Boys and Girls Clubs of Chaffee County would be widespread to the children, families, the schools and the communities within the county. Since then, he has seen measurable results for area youth. Scott likes to spend as much time as possible with his family, including three grandchildren, enjoying outdoor activities. The former president of Collegiate Peaks Bank, Salida resident Art joined the Board to become part of a group that plays a vital role in developing a child’s learning ability in a supervised and fun environment. He sees the Clubs' STEM program as a "game changer" for youth. Art believes the Boys and Girls Clubs provide different learning opportunities for children and gives kids a place to go instead of hitting the streets and potentially getting in trouble. He served on committees for finance, governance and fundraising. In his free time, Art enjoys golf and has fulfilled a bucket list wish when he attended the Masters Golf Tournament in 2016. Jan has been in Buena Vista for decades and knows how important this organization has been to our families and in youth development. She served for 6 years on the Board of Directors, serving as Treasurer and Finance Committee Chair. She took us through some rough times with competence and grace. Jan stays involved helping to make our fundraising events run smoothly and efficiently. Jack lives just west of Poncha Springs, with his wife, Cheryl and their dogs and horses. For 9 years Jack was a vital part of our Finance, Resource Development, and Facilities committees, taking us through some very trying times. He joined the board out of a desire to get involved in a community organization which fills a real and significant need for parents and children of the county. Before retiring, Jack worked 9 years for Sears & Eastman Kodak before running his own business for 30 years. In his free time, Jack loves antique cars and being outside and canoeing.